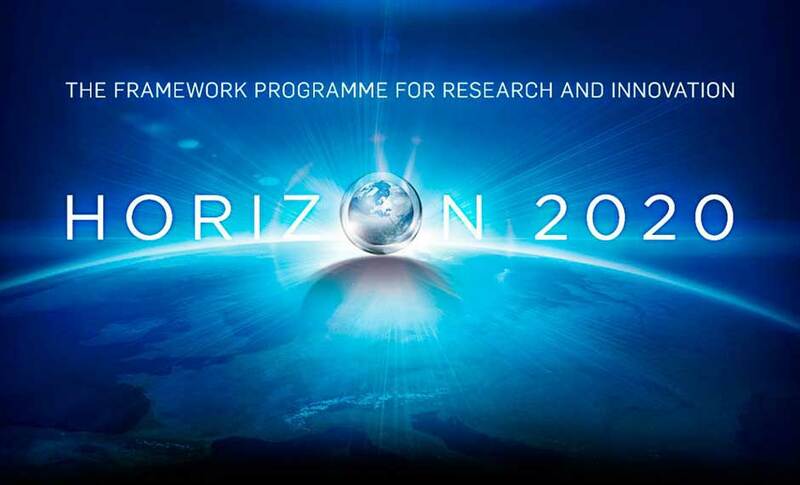 Between October 2016 and January 2017, the European Commission ran a public stakeholder consultation in the context of the interim evaluation of Horizon 2020 in the form of a questionnaire. The aim is to improve the implementation of Horizon 2020 and set the scene for the future discussions on the next EU research and innovation funding post-2020. 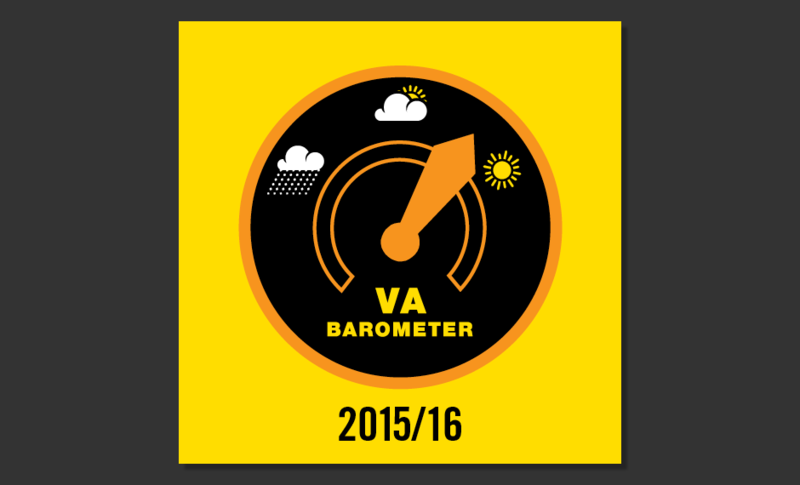 Here is VA’s completed questionnaire. The EC call on Next-generation altmetrics invited stakeholders across Europe to share insights and evidence to inform the work of its Open Science Policy Platform and a new expert group whose role is to advise on the role of metrics and altmetrics in the development of its agenda for open science and research. 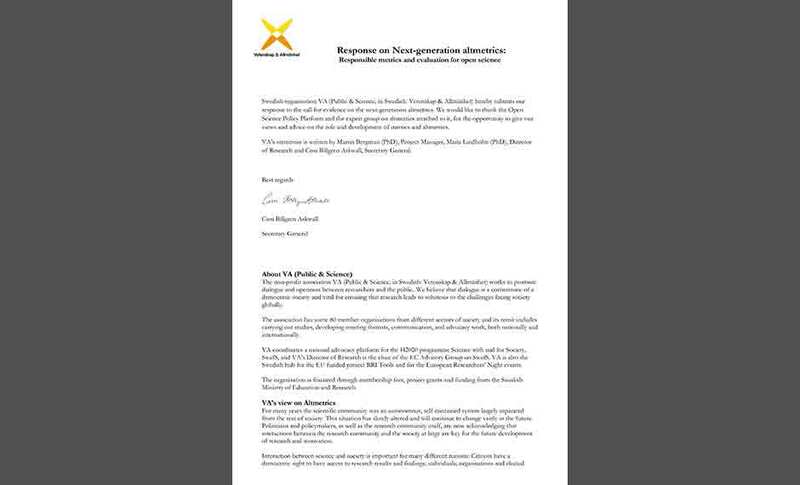 Here is VA’s response to the call for evidence. Before presenting new political initiatives or new legislative proposals the EU Commission often holds an open consultation where citizens and organisations are invited to submit their views on a particular matter. 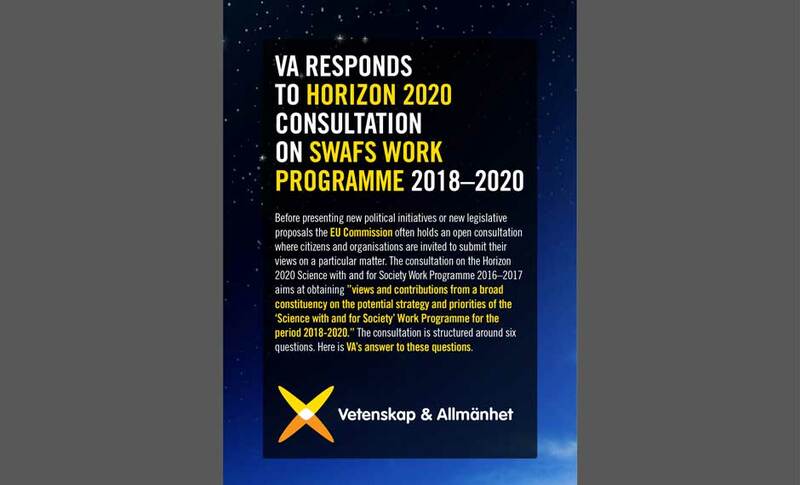 The consultation on the Horizon 2020 Science with and for Society Work Programme aims at obtaining ”views and contributions from a broad constituency on the potential strategy and priorities of the ‘Science with and for Society’ Work Programme for the period 2018-2020.” VA’s answer to the consultation was submitted in early June 2016. Every four years the Swedish government undertakes a wide consultation on policy needs to inform the Research Bill. 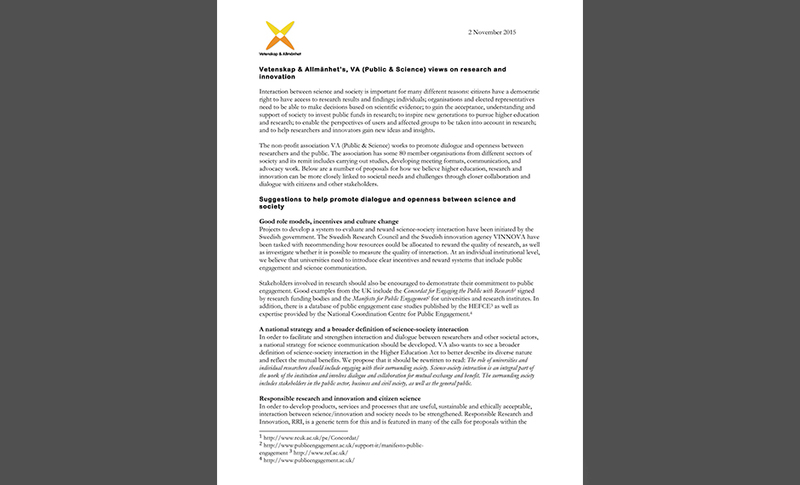 Here is a summary of VA’s input to the consultation outlining its views on research and innovation that was submitted to the Ministry of Education and Research on 2 November 2015. 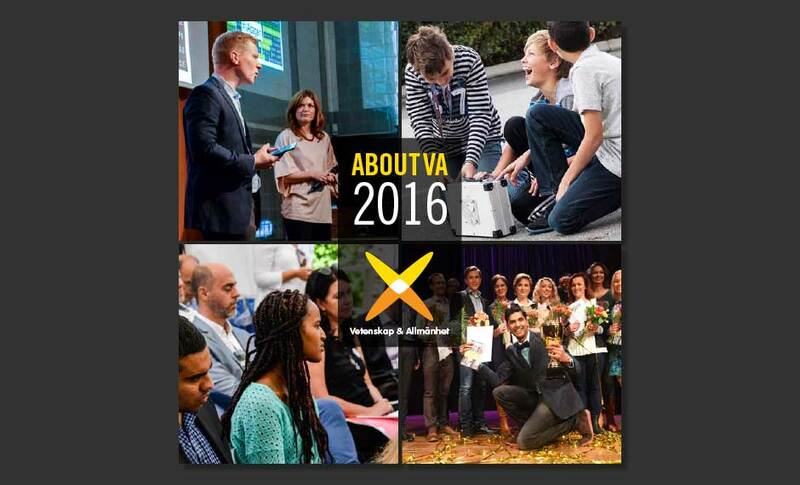 Information about VA (Public & Science) and its members. Printed in February 2016. 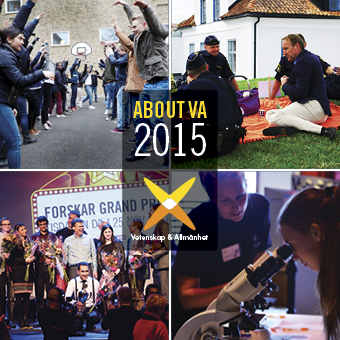 The Swedish mass experiments – a way of encouraging scientific citizenship? 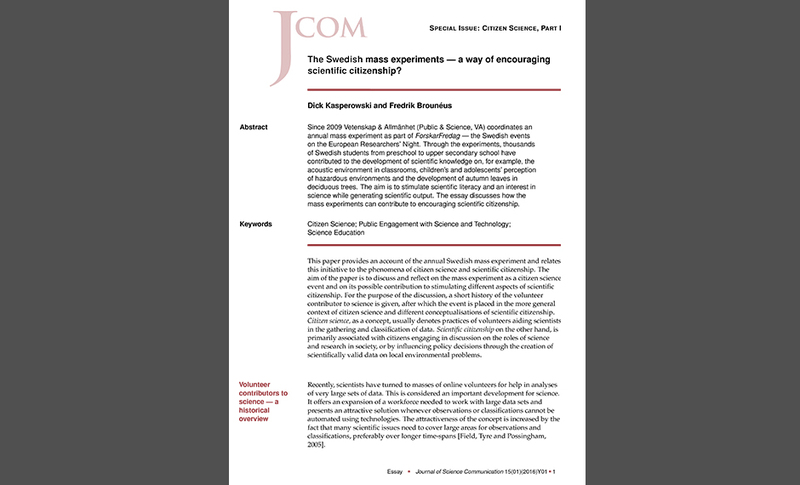 Citizen science lies at the heart of VA’s annual mass experiments, run with the help of school pupils across Sweden and linked to the Swedish Researchers’ Night. 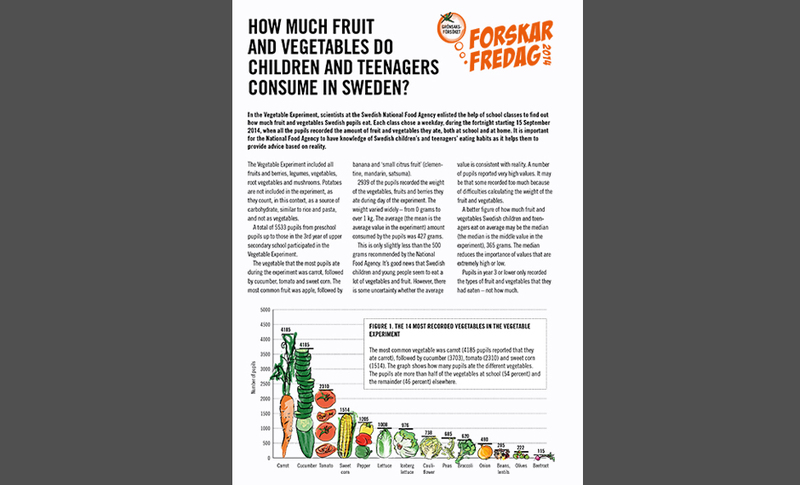 Swedish children and teenagers are pretty diligent at eating fruit and vegetables, according to the results of a mass experiment organised as part of Researchers’ Night 2014. In the Vegetable Experiment, scientists at the Swedish National Food Agency enlisted the help of over 5,500 pupils, who acted as research assistants for a day. Carrots and apples top the list of most eaten fruit and vegetables. 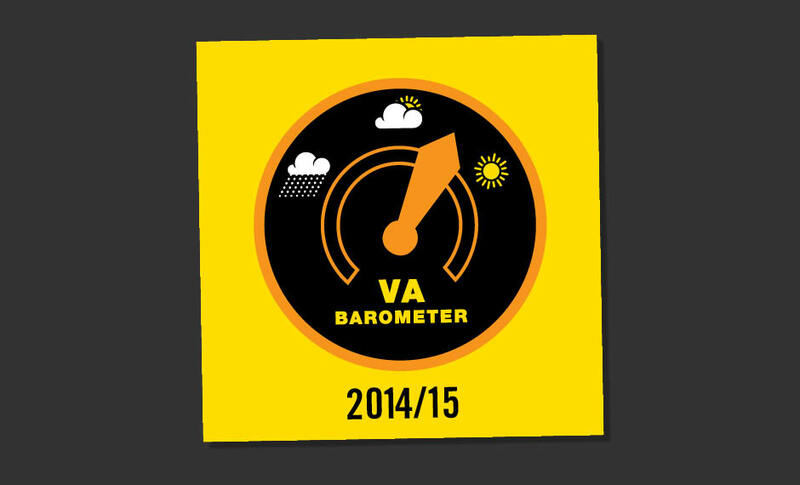 Information about VA (Public & Science) and its members. Printed in February 2015.